After a wonderful time in Hokkaido (Part I here), I was all set for Tokyo. I was looking forward to the energy of Tokyo. Right when I landed at the airport, I realized that Tokyo is going to be completely different from what I had just seen at Hokkaido. This was going to a tech savvy metro - a city that is more high tech than any other city on this planet. This is a city that is crazy about fashion too. Here are just a few examples of the tech savviness of this city. 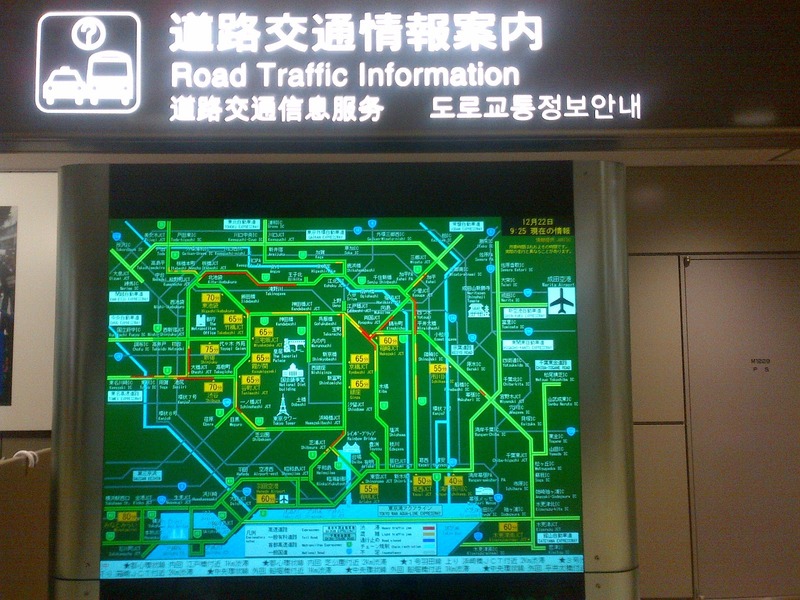 There is a real time traffic display at the airport - so that you can plan your route accordingly!! And then as you roam through the city, you have display messages like this one. 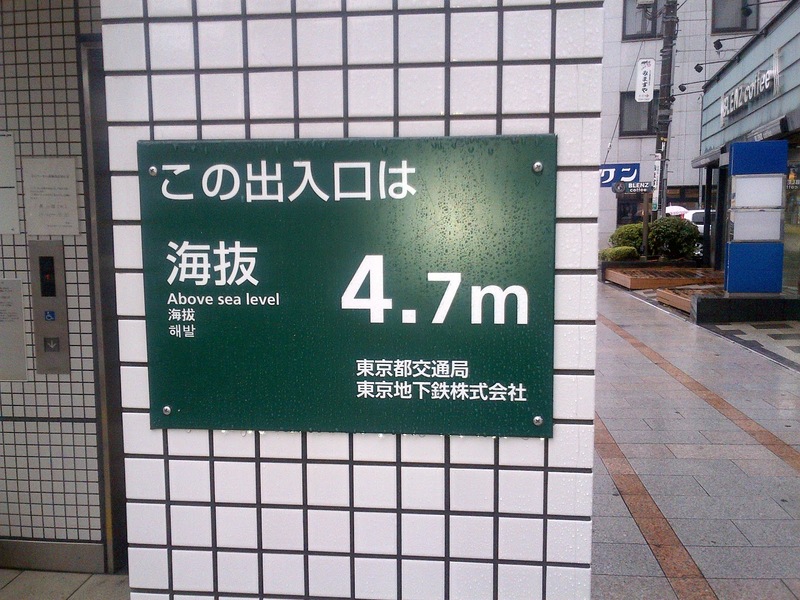 This one was displaying the height of the location with respect to sea level with a single decimal accuracy ! The Japanese take this too seriously ! And, the Japanese brought technology into toilets as well. One can never imagine that toilets can he high tech too. The picture below is the side panel on the wall. 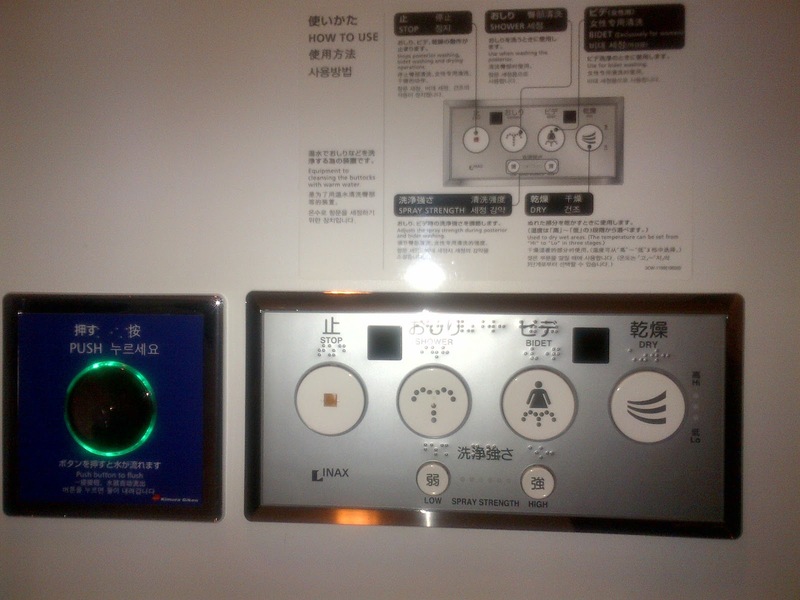 However, I must say, i did have a good time - heated toilet seats, heated sprays - all this is luxury in sub zero temperatures. You just need to make sure you press the right button, else you might have sprays pointed to all wrong places !! I arrived in Tokyo on a bright sunny afternoon, checked in at Sakura Hotel, Jimbocho (Tripadvisor review here). I got a bed in the dormitory at the basement. There were people from as many countries as there were beds. There were backpackers from France to Switzerland to US to Germany - And, amongst them an Indian too ! Guillaume, a French guy, was staying on the bed adjacent to mine. He offered to take me to Shibuya for dinner. Shibuya, the local hangout spot for Japanese, is the Times Square of Tokyo. In fact, Shibuya Square is easily the place where you can find these many Japanese together ! If you didn't have Sake, your Japanese trip is incomplete ! We walked around Shibuya and had a couple of Sakes with dinner. If you want to witness fashion, Shibuya is the place - you have people from all walks of life dressing to the best of their abilities. Later in the night we were joined by Ben, the American who was also staying at the same place. 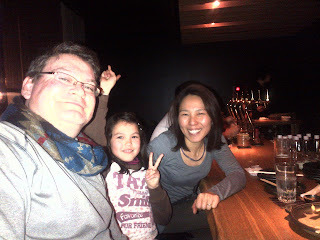 It was well past midnight when we were searching for a place to drink in Jimbocho. Finally, we landed at an Irish Pub. So here it was: A French guy, an American and an Indian in an Irish Pub in Japan !! Guillaume left the next day. 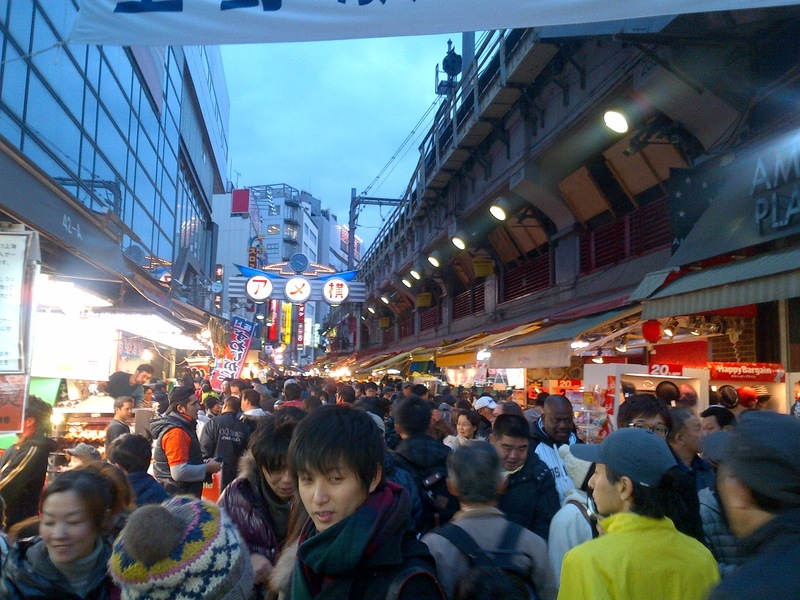 Ben and I walked around the whole day in Asakusa and explored the place thoroughly. Asakusa is called the old town and for obvious reasons. It is much more traditional that the other parts of Tokyo. We visited the Sensoji shrine and all the museums in and around Asakusa. The Sensoji Shrine is of very high religious importance to Japanese. It is the oldest Buddhist temple in Tokyo. We were looking at the information brochure that we found at the information center. There were a couple of museums in the region. Ben, being a musician, was very keen on this drum museum. It was indeed a wonderful display of instruments. The key differentiator of this museum is that fact that you are allowed play most of the displayed items. Bags from all regions ! It was close to sunset and we wanted to try out the Tokyo Sky Tree tower. We had some good views of it as we were nearing it. We were taken aback when we saw the queue. It would have taken us at least 2 hours to get tickets and reach up. We didn't think it was worth it. Instead, we found the "World Beer museum" in the complex adjacent to the tower. It was a wise decision ! And then we parted and i went ahead to Shinjuku. Shinjuku is the gaming and electronics center of Tokyo. Shinjuku metro is the busiest metro station in Tokyo. The next day i planned a day trip to Hakone Onsen. I had become a fan of Onsens right since my first visit in Hokkaido. Hakone is about 100Km from Tokyo. I had to change 2 trains and then a shuttle bus to reach the Onsen. I must say, it was worth every bit of trouble I undertook to reach there. This Onsen was quite different from the one at Hokkaido. There were many small Onsens with varying temperatures of water. And, amongst those was one with cold water - I took a dip in that one too ! Hakone is like Ooty (in India) - a small hillside town, a weekend retreat for Tokyo dwellers. It has a stream running right through and offers some good views of hills surrounding the area. This trip also gave me an opportunity to try the bullet train, Shinkansen. It was a short ride but the experience was exhilarating. The next day, I went out with Simon, the Swiss guys who was on a long Asia trip. I took him around city in my style - no map - no list of destinations - just walk the whole day. He was taken aback when I told him this when we visited the Imperial palace. 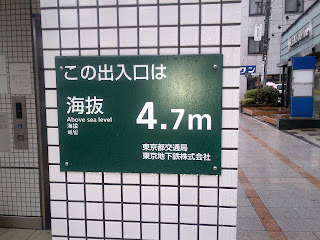 We walked the whole day and by the evening we had reached Ueno. Ueno market reminded me of TulsiBaug market in Pune. We had a tasty Lebanese wrap here - Lebanese cuisine is something that I cannot resist ! We deserved a treat for the long walk all through the day. We partied at Roppongi, which is just like Shibuya - just that this is the hangout for whites ! Simon being with me did help in getting entry into places where my skin color would not have granted me entry. We had a great time hopping bars all through out Roppongi. It was 230 AM by the time we finished - Now, we had to reach the hotel. Simon suggested taking a taxi - I convinced him for another walk. So, here we were, in Tokyo, without any map and without knowing the local language. We stopped at every police station on the way to ask for directions - it was not my idea ! My beard has landed me in trouble at many immigration checks.. Luckily for us, there were these police check posts every km or so. We walked back 7-8 kms to the hotel in the middle of the night - another superb way to experience the city ! 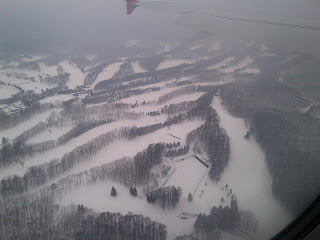 I had my flight the next day - I was really happy with the way I have been able to see Japan. I did miss Kyoto/Nagasaki/Hiroshima but I am perfectly fine leaving them for the next trip. One more beautiful trip comes to an end ! Up next: The Grand 3 month Himalayan exile beginning March 2013. 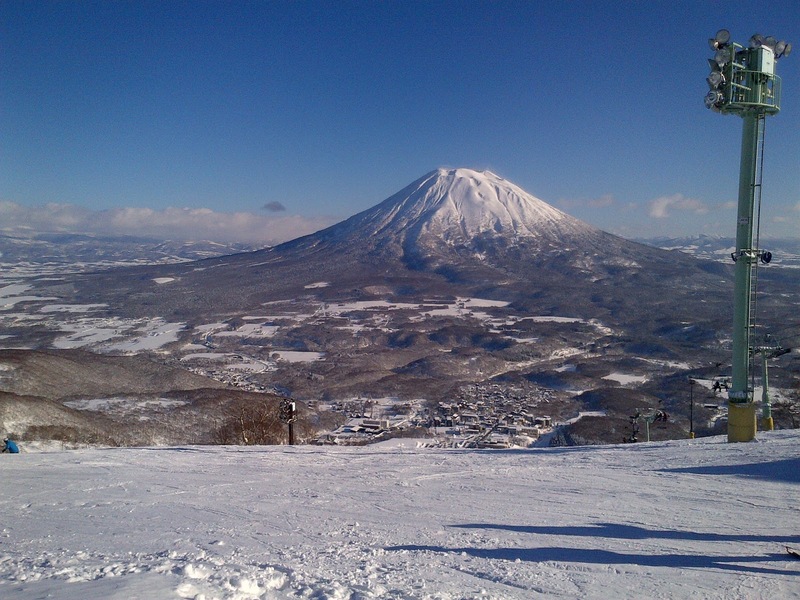 This is Part I of a 2 part series on my recent trip to Japan..
Winter was just a few months away and i had already missed a season of skiing.. That was reason enough to plan my trip during Christmas. As with every trip this one too had its challenges.. I wanted to spend as little as possible (definition of 'little' expense in Japan is not little in any sense for anybody living anywhere). 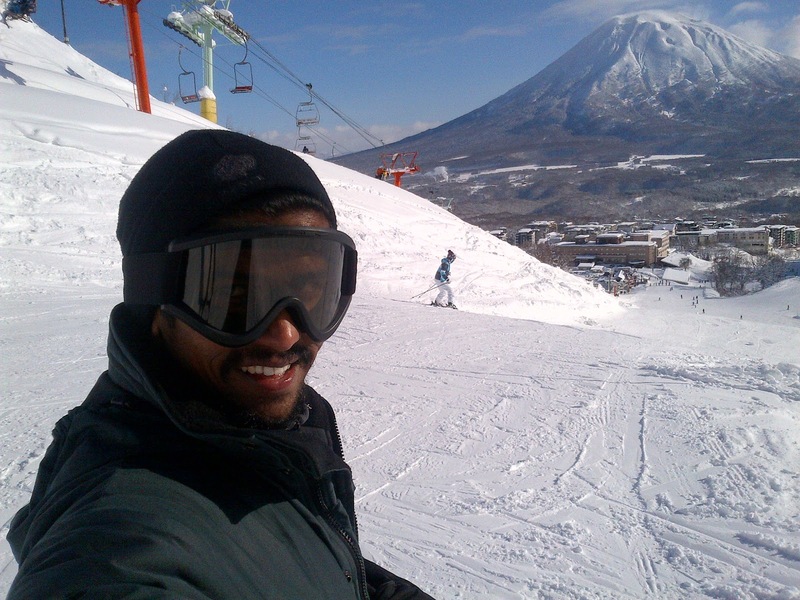 Japan is expensive and I had to find the least expensive way of skiing and traveling through Japan. One night at Haneda airport! Backpacking means compromises. But, they dont seem like compromises when you get used to them - I am getting there, but not there yet! 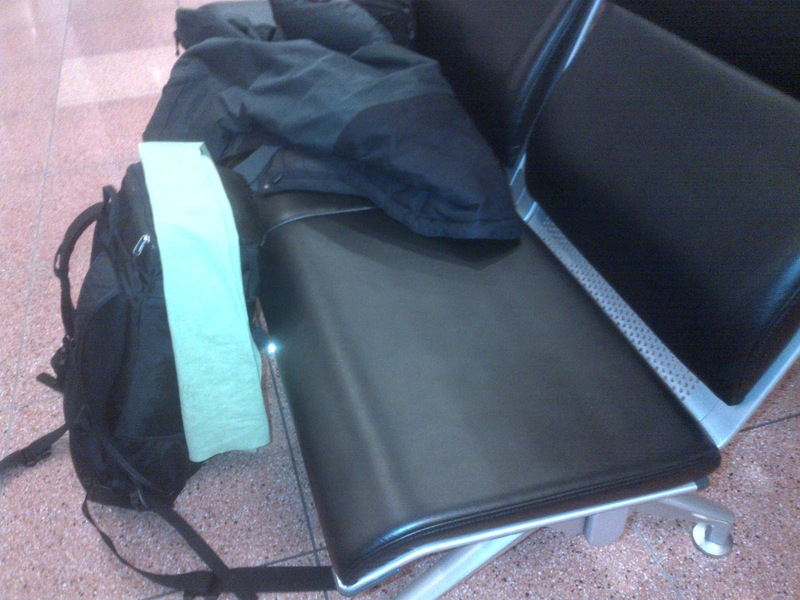 By the time i reached Niseko, it was dark. However, the bright lights illuminated the slopes beautifully. Looking at the amount of snow around, I immediately realized that the next few days were going to be good fun. After checking in at Owashi Lodge (Tripadvisor review here), I went straight to get my ski gear rental. I was all set for good times !! I spent the next couple of days on the slopes. The snow was just too good. So soft that you feel like you are skiing on Talcum powder. The view from top of the mountain was awesome ! Owashi lodge (Tripadvisor review here) organized a trip to an Onsen on one of the evenings. An Onsen is a natural volcanic hotspring which is supposed to have healing powers. 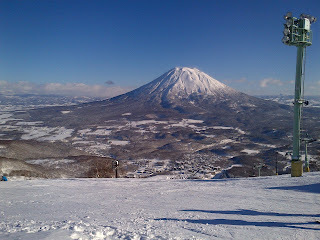 We went to Niseko Grand hotel Onsen and i must say that is was awesome. This was my first experience of an Onsen and I coudnt have asked for more. 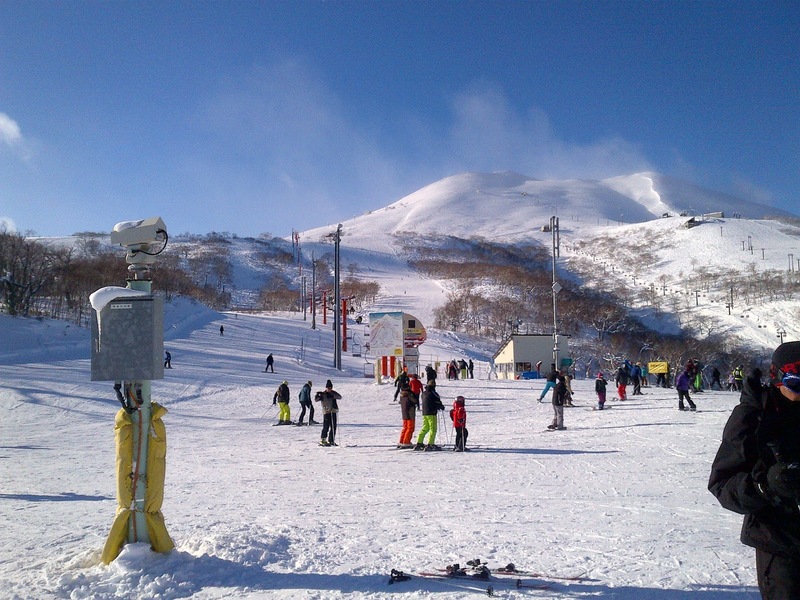 The temperature was easily between -5 and -10 deg C and there was heavy snow. We were sitting in this outdoor Onsen completely naked (of course, under water!) in heavy snow. My hair was getting spiked up every ten mins due to the snow ! It was an awesome combination - we were in naturally heated water of about 40 deg C or so and out in the cold and in heavy snow. When we got thirsty, we ate snow ! We spent atleast two hours there - I could have never imagined spending that much time outside (in Japanese winter) without a single pice of cloth on my body. One of the good things about these Onsens is that it removes all inhibitions one has about himself/herself - you are out there in nature with none of your belongings. I think that is what gives it spiritual significance. If i were to point out one experience that tops everything on this trip, it would be this one. After couple of days of skiing, i thought it would be wise to explore the region. I head out one morning exploring the village of Niseko and then onto Kutchan town. Niseko village has few more resports apart from Grand Hirafu and i took the shuttle that connects all of them. Went to Hilton, checked out deer sledging but that was fully booked for the day. Nevertheless, i was atleast allowed a picture with reindeers. Kutchan is a peaceful little town that reminds me of suburbs of Montreal in winter. It was a very cold day (less than -15 deg C) and i couldn't bear the cold for more than 2 hours. Went around Kutchan to get a feel of the life of locals living there. In this part of the country, English is not an option and all you can rely on is human sign langauge. The sign language is something that has worked for me everywhere !! The restuarant did not have english menus but lickily for me they did have pictures ! I spent almost every night at local bars spending time with tourists, and locals alike. I met a very nice family on one of those trips. Peter is an Australian who has settled down in Japan with his wife Taeko. They have a very cute little daughter called Leila. In fact, it is from him that i got to know that Sachin Tendulkar has retired from One day cricket !! We had very good discussions on cricket, as it used to be in golden days and on doing what one likes to do.. He runs a School in Japan, a hobby turned into a commercial enterprise. There are not many people in this world who are able to do that. Thankfully, he and his family did consent to posing for my blog. It was sad that this leg of my trip was coming to an end but then what kept me excited was the energy of Tokyo, which was the next leg of my trip.